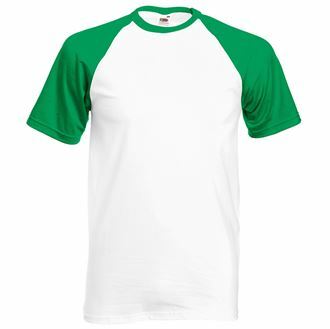 Short Sleeve Baseball style t-shirt by Fruit of the Loom available in sizes Small through to XXlarge. Unit prices inclusive of a one colour print in one position: 50 units € 5.95 / 100 units € 4.90. Please add € 1.00 per unit for long sleeved version.